Waterfall countertops are trending! Simple, clean and contemporary lines define this vertical countertop look. 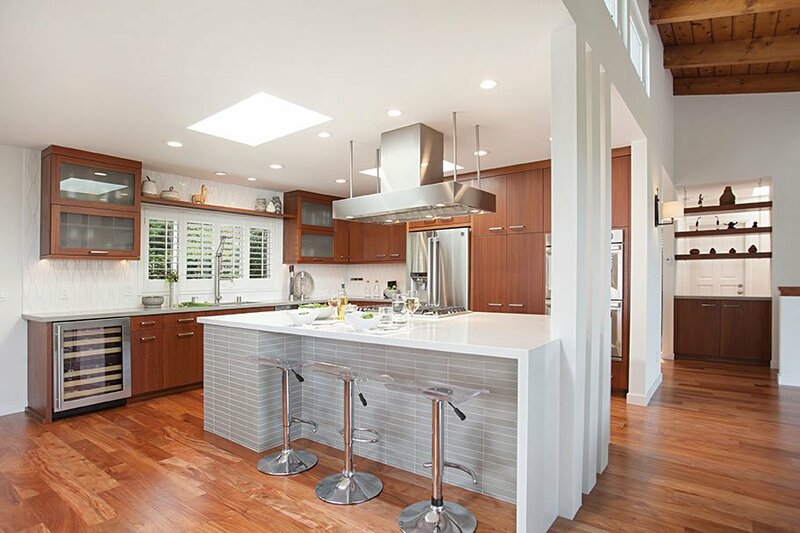 With an ever-increasing popularity, waterfall countertops—in some variation—occupy space in nearly every kitchen inspiration gallery you peruse, and not just in the most modern of homes. 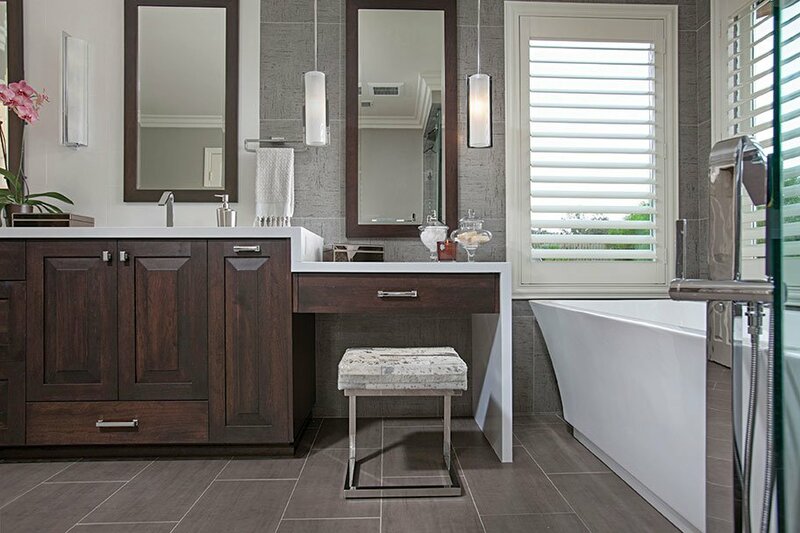 Simple, clean lines define the waterfall design, which is associated with a contemporary look, says Tatiana Machado-Rosas, interior design department head at Jackson Design and Remodeling in Kearny Mesa. 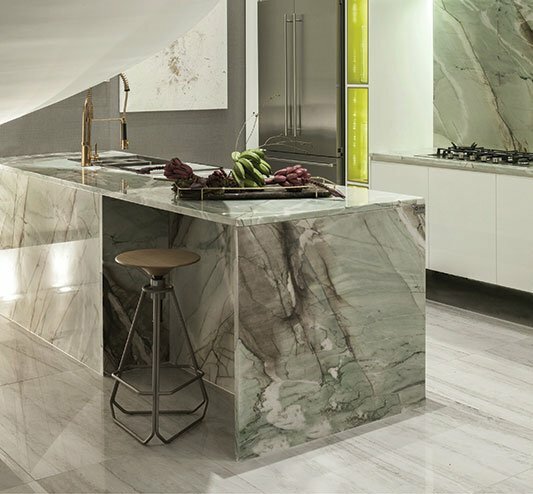 Whereas a traditional countertop is composed of a single horizontal surface that ends at the edge of a peninsula, island or bank of cabinets, the waterfall countertop descends vertically down the side or sides, creating an unbroken flow to the ground. Waterfall countertops provide an aesthetic focal point for a room as well as more function. Additionally, the open seating that Christie prefers offers a way for lovers of texture and contrast to get creative with a little mix-and-match: Try pairing a white marble waterfall counter with a warm wooden base, or find some to-die-for tile to add an engaging pop of pattern underneath. And in practical terms, waterfall counters are easier to clean. 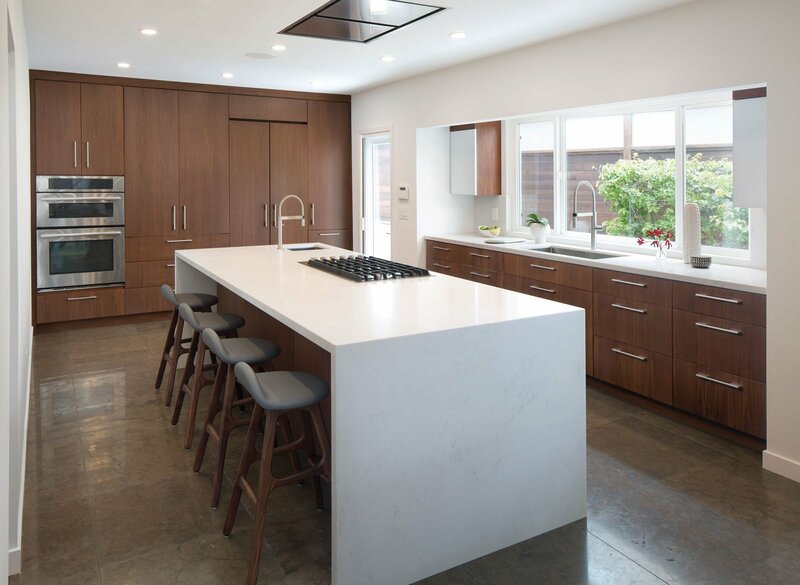 “If done in a natural stone or solid surface—especially in wet areas—they provide better durability than a wood side to a cabinet,” Kate explains. Though kitchens are the obvious place to install a waterfall counter, there are plenty of other potential spaces for them to make a dramatic statement, from bathrooms—natural stone is conveniently waterproof—to living room consoles and outdoor bars. Before committing to this look, consider whether a full or asymmetrical counter suits your space, what material works best—and the price tag. “Having stone waterfall sides will definitely be an added cost, both by needing additional stone material as well as fabrication costs,” Christie say. 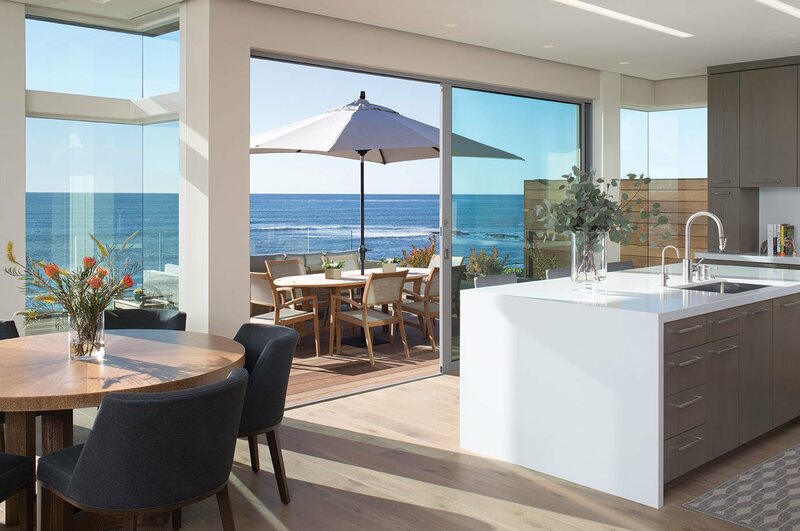 “If the island is floating, like in a kitchen, definitely do both sides. If one end butts up to a wall, such as in a bathroom or closet, then doing one end is fine. Even then, you may still choose to do the stone on both ends, but you will only see the front-edge profile. I would look at the material quantity and overall budget costs.